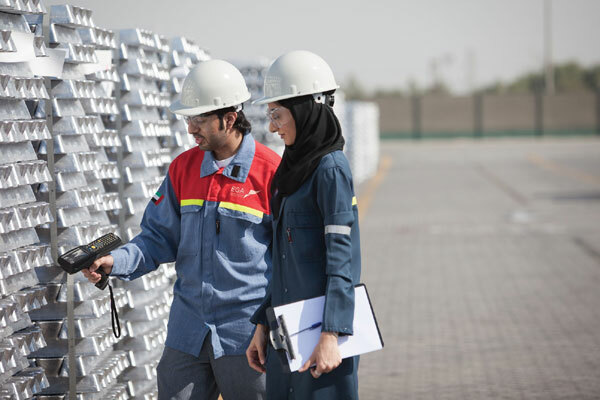 UAE-based Emirates Global Aluminium (Ega) said its researchers will team up with the Massachusetts Institute of Technology (MIT) for cutting-edge research and to develop new technologies that will further improve the company's aluminium smelting processes. MIT is the leading American research university. In 2016 alone, the school has so far filed 341 patents. This collaboration will see graduate students from MIT’s School of Chemical Engineering Practice running six research projects at Ega’s smelter operations in Jebel Ali and Al Taweelah focused on promoting greater efficiency in its processes. Nine PhD and Masters students from MIT will be based at an MIT Practice Station at EGA’s facilities between October and December to work on the research projects, said a statement from Ega. A similar programme last year between the UAE industrial giant and the pre-eminent American research university is expected to deliver millions of dirhams in performance improvements each year, it added. EGA said it has focused on continuous improvement through research and technology development for decades. "Continuous improvement through innovation is in our DNA,” remarked Dr Mohamed Mahmoud, the manager of technology improvements at the Ega Centre of Excellence. "We pursue technological advances that improve our efficiency, minimise our environmental impact, and maximise the quality of our products. Collaborating with leading UAE and international universities like MIT is an important part of our work to develop Emirati technology for our business," he stated. According to him, these projects will focus on processes in the Ega power plant, reduction facilities, carbon area and in the technology development and transfer department. Last year’s program resulted in the development of new technologies that were implemented at Ega’s Jebel Ali smelter and power plant, said Dr Mahmoud. The initiative is being managed by EGA’s Centre of Excellence, which is part of the Technology Development and Transfer Department. The centre selected the research topics in consultation with operational areas for their relevance to the MIT programme and potential value to the Emirati company. EGA owns all intellectual property developed as a result of the programme’s research, stated Dr Mahmoud. In 2015 nine MIT students ran projects aimed at improving the energy efficiency of the power plant at Ega’s Jebel Ali Operations. The solution identified by the students was implemented by a multi-disciplinary team within the plant this year, and Ega's savings are expected to be more than Dh4.41 million ($1.2 million) per year in energy costs, with no capital investment required. Two additional projects from last year are also currently in the process of being implemented.